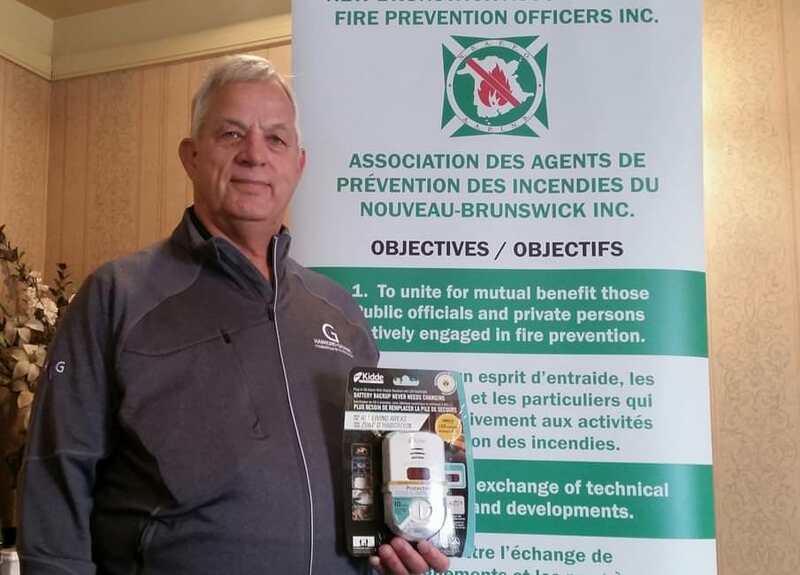 The New Brunswick government must pass legislation to make carbon monoxide alarms mandatory in homes and businesses, one of Canada’s leading experts said in Fredericton on Friday. John Gignac, executive director of the Ontario-based Hawkins-Gignac Foundation for CO Education, is spearheading a nationwide call to action to prevent more carbon monoxide poisoning deaths. Two New Brunswickers died from carbon monoxide poisoning during January’s ice storm, and more than 30 were sent to the hospital after being exposed to the gas. To date, only Ontario and the Yukon have passed carbon monoxide law requiring homeowners have such devices. In Ontario, the law applies to anybody that has any fuel-burning appliance in their home or business, such as an oil furnace, propane fireplace or a gas stove. Failure to install the alarms can lead to fines of up to $50,000 for homeowners and $100,000 for businesses. Gignac, a former firefighter, said his organization has had preliminary discussions with the New Brunswick government on the need for CO alarms in homes but nothing has happened as of yet. John Gignac, executive director of the Hawkins-Gignac Foundation for CO Education, holds a carbon monoxide alarm. Gignac said a lack legislation in New Brunswick making CO alarms mandatory puts lives at risk. Paul Bradley, a spokesman with the Department of Justice and Public Safety, said the provincial government has initiated a process to identify lessons learned from the recent ice storm, including public meetings that took place this week in support of a post-action review. The Clerk of the Executive Council will report on the review’s findings at the end of July. The government is also focused on educating New Brunswickers about the dangers of CO and ensuring residents know how to safely operate devices that can emit the potentially deadly gas, he said. We NEED to pass carbon monoxide law legislation. We need to protect our family!